An implant is a man-made replacement for the natural tooth root which allows a person to return to non-removable teeth or a more secure dental restoration. It is not a transplant which would be taken from another individual. There are several types of dental implants from which the doctor will select the one most suited to your needs and general dental condition. 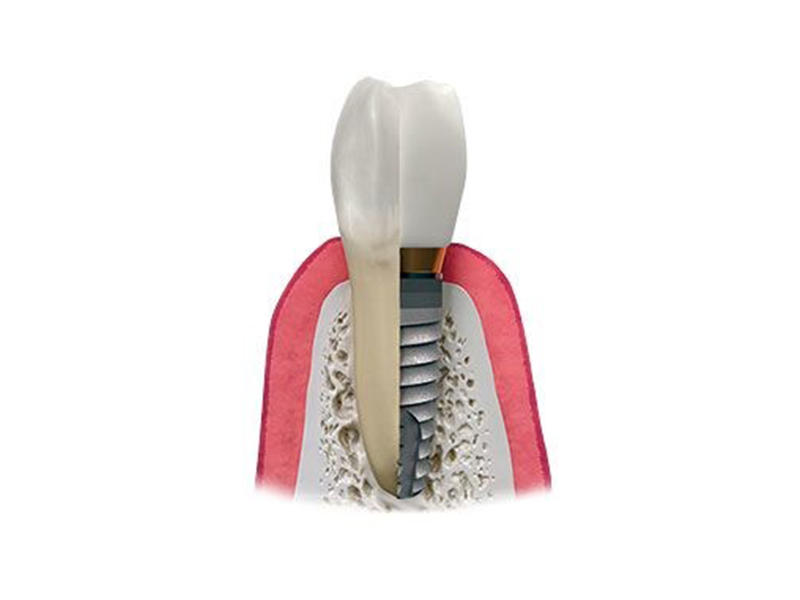 How is an implant inserted? Although there are many types of implants, the types can be divided into two basic groups. 1. Those that are inserted INTO the bone. 2. Those that are placed OVER the bone. In both instances, the implants are placed UNDER the tissue and extend into the mouth. Your own natural teeth in a healthy, well-maintained condition are the best natural implant(s) which you can possibly have. There is nothing else which compares with them. It is, therefore, in the best interest of your health and well-being to do anything you can to keep your teeth in the best condition for the longest possible period of time. With good care on your part, and with good frequent dental checkups, you will be able to accomplish this goal. If you have decided that you want to be considered as an implant candidate, then you can be encouraged from the fact that there are many others in this country and throughout the world who have had dental implants, cornea, kidney, heart transplants and pin implants in the hip, with excellent results.